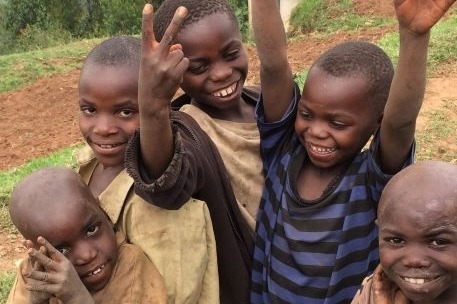 AIMPO (African Initiative for Mankind Progress Organisation) needs to raise $10,000 to buy land for a school for Batwa children in Rwanda and I am writing on their behalf. The Japanese embassy in Kigali is willing to finance and build a school if land can be obtained. AIMPO is dedicated to the improvement of the lives of the indigenous Batwa people – an ethnic group living in the Great Lakes region. They are a group of Central African forest hunter-gatherers of short stature (previously called “pygmies”), who inhabited the equatorial forests for centuries. In Rwanda, one of the countries bordering the region, it is illegal to refer to the ethnic origins of anyone; and one of the consequences of this is that the discrimination experienced by the Batwa in every aspect of their lives cannot be talked about and is therefore rendered invisible. In 2015, I was lucky enough to make friends with Richard Ntakuritimana while we were both attending a course at the Rwandan Genocide Museum in Kigali. He was and still is the executive director of AIMPO. The Batwa population, estimated at 25,000-30,000, are considered to be the first occupants of Rwanda. They were formally forest dwellers surviving on hunting and gathering activities. With the introduction of agriculture, both crops and animal farming, and wildlife conservation schemes, the Batwa were forced to leave their ancestral forests. Most Rwandans are able to generate income from land – the basic production asset which allows them access to adequate health and education services. 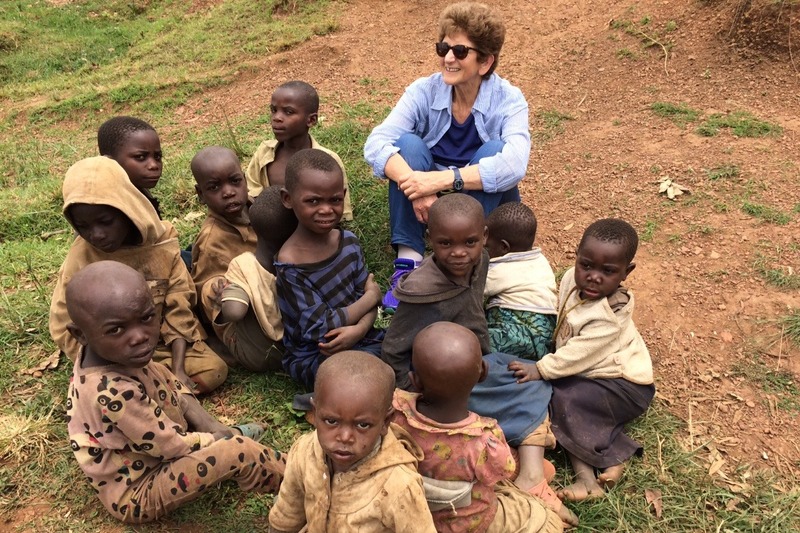 The Batwa, having no access to land, have become extremely poor. 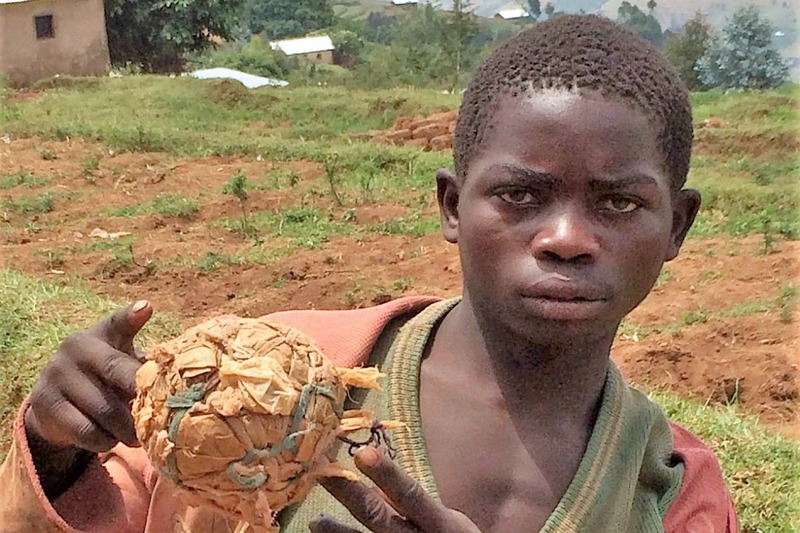 In the late 1970s, all remaining forest-dwelling Batwa in Rwanda were evicted from Volcanoes National Park, the Nyungwe Forest Reserve, and the Gishwati Forest without being provided compensation or other resources necessary for their subsistence. These forests from which they were evicted were central to their ways of living. Eviction has gone hand-in-hand with severe consequences for their livelihoods, access to food and medicines, housing, cultural practices and has divided communities. Now, over 40 years later, these communities live in dire poverty, with high rates of illiteracy and poor health. They hold very little hope of their circumstances changing in a country in which the government ignores them, and in which the rest of the population seems to feel embarrassed at their very existence. AIMPO relies heavily on being able to source funds for particular projects from other countries. This September (2018), Richard and one of the fieldworkers took me to the community living outside Gicumbi, a town north of Kigali. On a few narrow terraces, by a dirt road, 80 families were living in makeshift huts. There were a few planted fields, one cow with very little room to move and a rabbit hutch on stilts – a new project funded by the Canadian government in the hope of providing some food security. It was morning and there were a lot of children sitting about apathetically in the dirt; also some teenage boys. At the sight of a muzungu (white person), the boys brightened up a bit and indicated to me that they wanted a football. Richard asked them where they would have room to play. And they said there was a field some distance away. I began to look more closely. Why weren’t they or the younger children at school? I asked Richard. His reply was children can’t go to school if they haven’t eaten anything. Yes, I have heard that children don’t learn very well if they are hungry, but does that mean they shouldn’t go to school? What he didn’t say but what I have subsequently read is that Twa children face discrimination, harassment and ridicule if they do go to school. At this point Richard had to join the conversation with an official about seeds and crops and I decided to try to connect with the children. I noticed that the only thing the children had anything to play with was a ball that the boys had made out of straw. A toddler was trying to manipulate a hoe, which was probably a bit dangerous for him to do. I started making faces at some of the smaller children. There was one little girl who seemed eager to copy me and within a few minutes, I had a dozen children around me with a few more on the terrace above, copying whatever ridiculous gesture or loud noise I made. They were eager for it. We must’ve played like this for a half-hour or more. When I began to run out of ideas of things to do, I sang a song with actions. Some of the adults began to notice including Richard. He was suddenly saying excitedly, “We could get a teacher here and someone could make porridge….” He could see that something enlivening had happened. It seems to me, whether children are hungry or not, they certainly need to play and to engage in joint activities that are fun. Now Richard tells me that the Japanese embassy is willing to provide funds for a school if the community can provide land for it to be built. They need $10,000 to buy land and so we are asking for donations. It will make a huge difference to these children and their community if they are able to build a school for themselves.